Snacking can be one of the most challenging issues when it comes to diet success. You can plan the perfect meals, but if you cheat with bad snacks, then it will ultimately undermine everything. In this article, I’ve set out the 10 best healthy snack ideas. They give you energy and can help with weight loss. These are simple and creative alternatives to the sugar-filled, empty snacks that commonly hold people back from their fitness or weight loss goals. Combining an apple with peanut or almond butter is an excellent, on-the-go snack that gives you energy, healthy fats, and keeps you satisfied between meals. 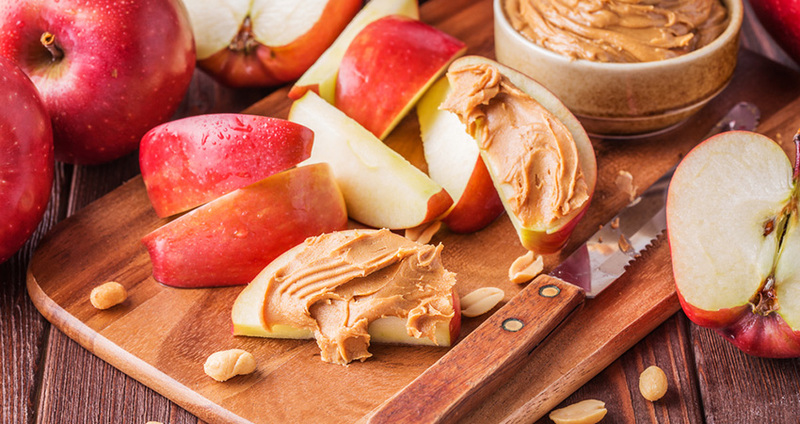 Depending on your preferences, choose natural peanut or almond butter and spread it on apple slices. This makes a fantastic afternoon snack at your desk! Eggs are a fantastic source of protein, healthy fats, and dense nutrients. 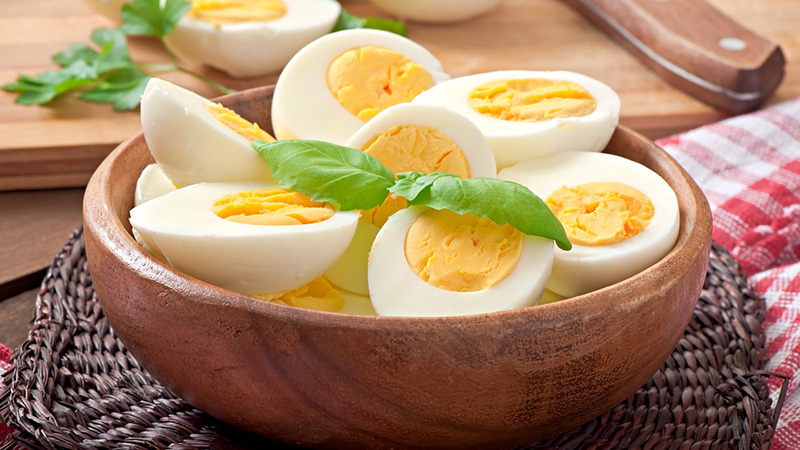 When you’re on the run, a great option is to have hard-boiled eggs ready to go. They’re also really easy to make. I prepare a bunch of them all at once and keep them in the fridge. Just be sure to remember which ones are hard boiled and which ones aren’t – otherwise you can have a real mess in your lunch bag! 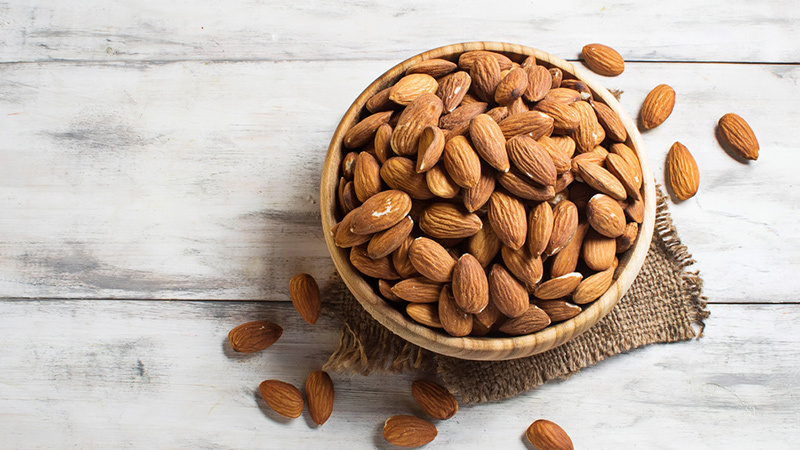 Almonds are a fantastic and handy snack you can take anywhere, giving you a quick boost of healthy fats, nutrients, and energy. Other nuts such as walnuts, pecans, brazil nuts or a mix are equally nutritious. Look for the raw variation (rather than the salted, toasted kind) for optimum health. 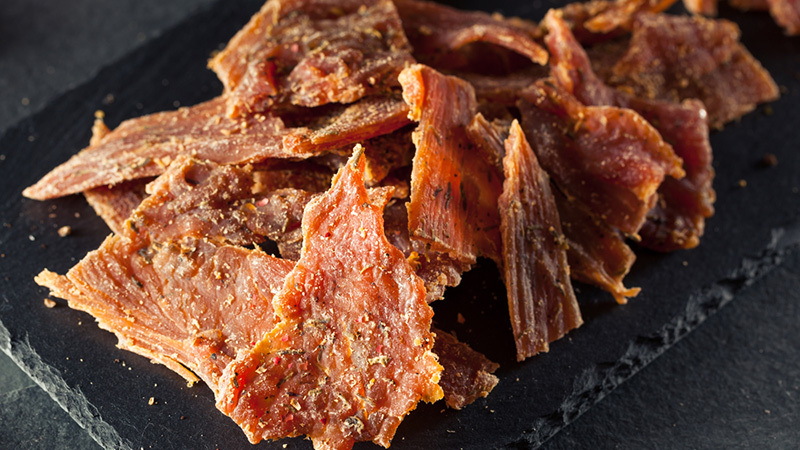 Jerky is a protein-rich, satisfying snack that packs a nutritional punch to keep you level-headed and full of energy. Choose healthy, unprocessed brands with low sodium, natural flavours and less sugar. 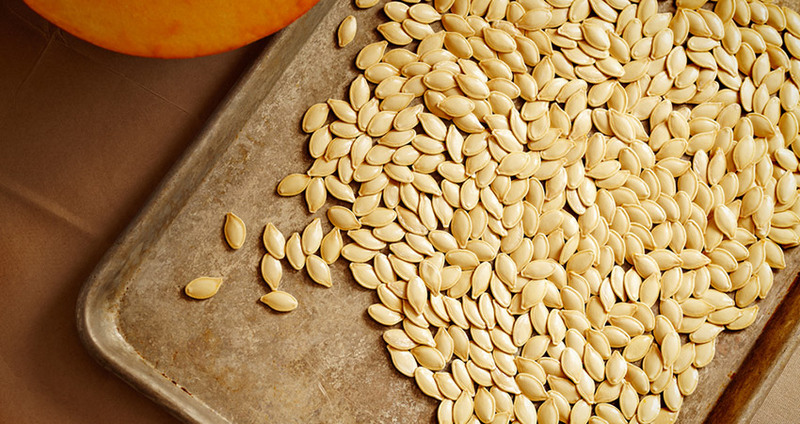 Pumpkin seeds are full of fibre, as well as immune-boosting nutrients such as zinc. Add these to your raw nut mix or simply have handfuls ready to go whenever you need a boost. 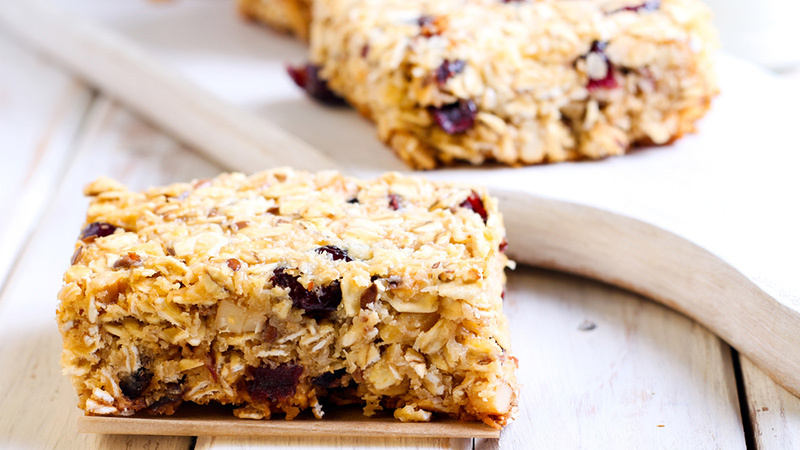 Protein bars are an obvious go-to for snacks, but make sure you find a healthier, more natural version, as there are many high-sugar, highly processed brands out there. Look for bars that are high in protein and fiber, moderate in carbohydrates, and contain a minimal number of ingredients (especially those that you can’t pronounce). Most importantly, check how many grams of sugar they contain; some of these so-called “healthy” bars can have up to 35 grams of sugar or more. 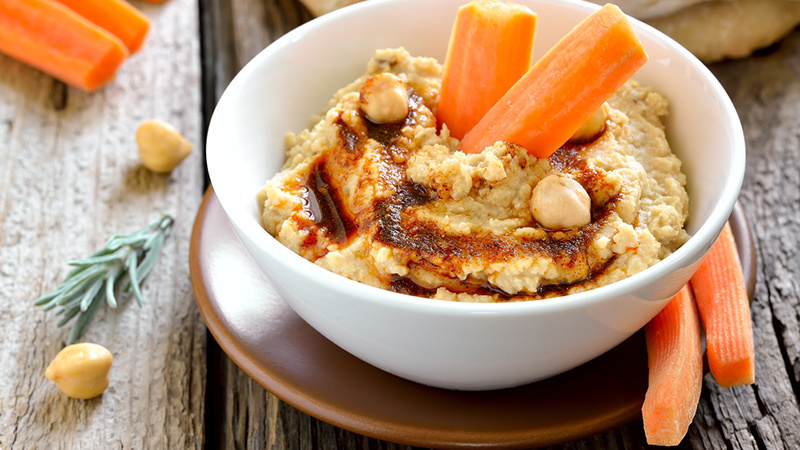 Hummus is a delicious, healthy alternative to other, fattier dips, and can be combined with vegetables such as carrots, celery, and snow peas. Why not make your own at home from scratch? Here are 10 different delicious varieties to try! Greek yogurt is quite popular amongst Insta-foodies and fitness enthusiasts, for good reason: Not only is it creamy and delicious, but it’s incredibly versatile (just look at this beautiful bowl!) high in protein and readily available in low-fat variations, too. 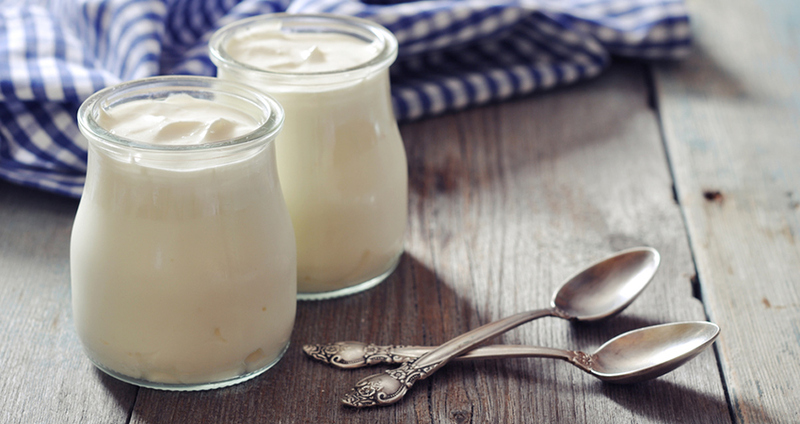 Get creative with your Greek yogurt by adding fruit, gluten-free granola or even some protein powder for an added boost. Feeling hungry and need to indulge a bit? Look no further than dark chocolate. 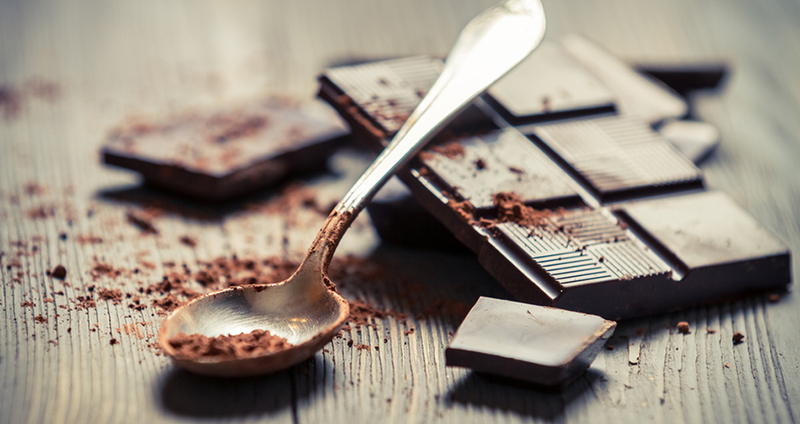 The darker the better, however – varieties with 70 per cent coach or more have less added sugar than other kings of chocolate, as well as a number of health benefits. There’s a reason why breakfast smoothies have become so popular. 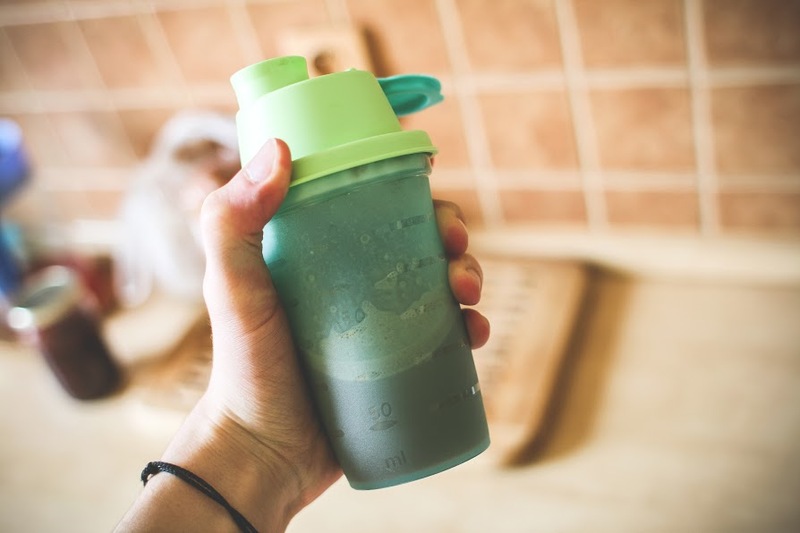 Start your day off with a protein smoothie full of healthy ingredients, which can include Greek yogurt, fruit, chia seeds, almond butter, kale, etc. Throw them all together, blend with ice and enjoy. Here are a few delicious recipes for you to try. Snacks can easily make or break your nutrition plan. You’ll be doing yourself if a favour if you replace your chips, pastries, and processed foods with some of these healthier options. Keep these easy snacks handy at the office or at home when hunger strikes; a little planning goes a long way when it comes to snacking right.